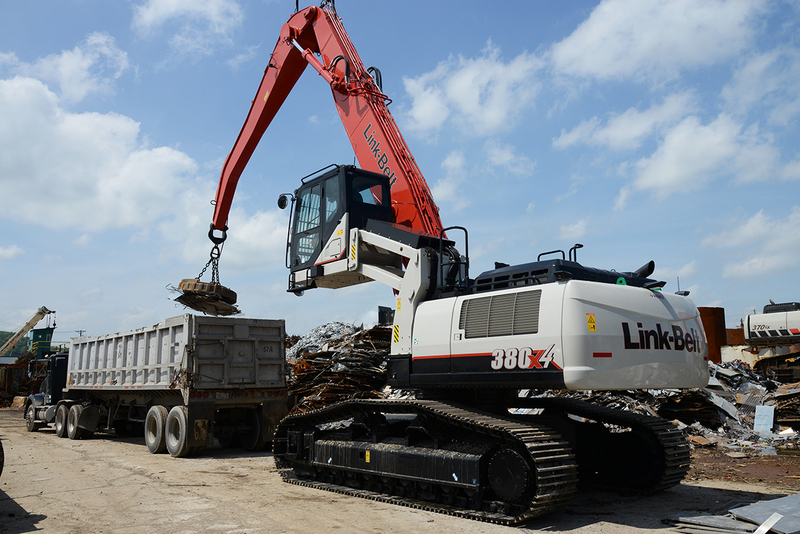 LBX Company announces the Link-Belt 380 X4 Material Handler for the US and Canada, featuring an electronically-controlled 268 horsepower Isuzu engine that meets EPA Final Tier 4 requirements, without the need for a diesel particulate filter (DPF). 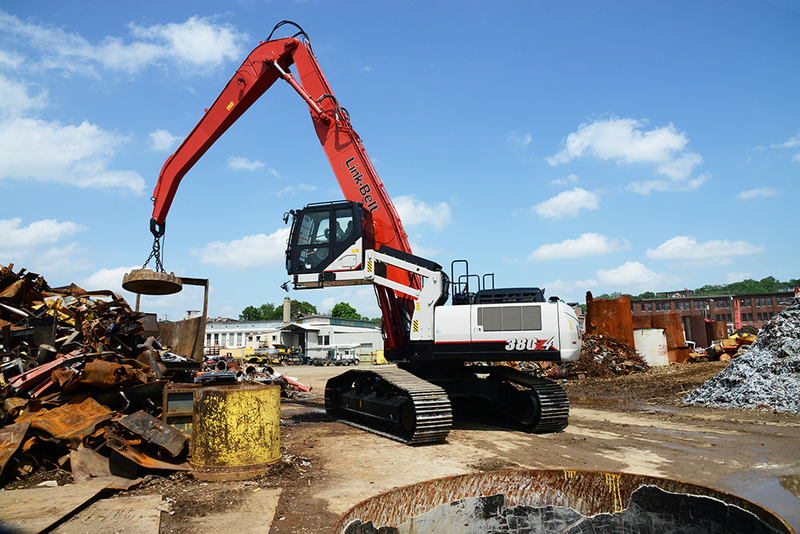 The 380 X4 MH is purpose-built for material handling applications, featuring a two-piece, factory-designed attachment with hose burst check valves. The hydraulics package features award-winning Spool Stroke Control (SSC) technology to achieve maximum control and productivity. Pre-set hydraulic motor and pump for 20kW hydraulicallydriven generator with controller installation mount comes standard. The roomy X4 cab maximizes operator comfort and convenience, featuring a heated air suspension seat with +/- 5 degree tilt and heat. Arm rests move proportionally with the console, which means that the distance and angle between joysticks and operator remains the same, no matter how the seat is adjusted. OPG level 1 front guard, FOPS top guard, ISO guard rails and mirrors are standard. Full bar guard, hinged bar guard and mesh guarding packages are available. The Hydraulic Cab Riser features a higher operator view—18’10” (5.74m) at eye level height. A new in-line drift valve and shock-less cab riser design improve operator comfort and control. RemoteCARE® GPS telematics system allows 24/7 remote monitoring and security. The system enables you to track daily fuel economy and machine performance with ease. It lets you be more proactive if potential failure conditions arise; flashing diagnostic codes on the monitor quickly alert the operator to potential trouble and an e-mail alert is automatically sent. The system also provides machine location in real time for better job supervision and remote security monitoring. A 3-year subscription is included at no extra charge. The 380 X4 MH features a heavy-duty, high-wide undercarriage, oversized turn table, and larger drive motors for dependable, long life service. With any Link-Belt product, the bearing tub extends down through the top plate of the X-Pattern Carbody and is welded to the bottom and top plates of the Carbody for exceptional strength and durability. 750 mm (29.5” in) 3-Bar Steel Grousers, Carbody Belly Pan, Double Track Guard and Sealed Link Chain are standard.